Hello to all our friends and supporters. 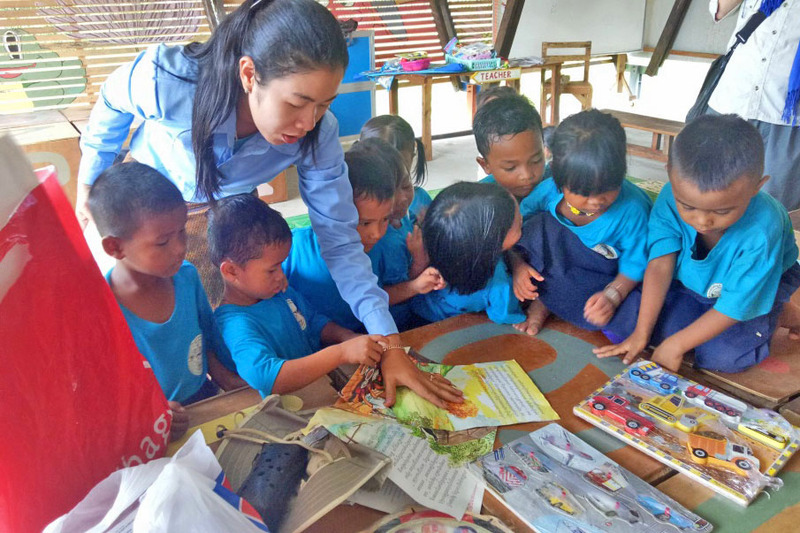 I have recently returned from Cambodia and am delighted with the progress being made in all our programs. 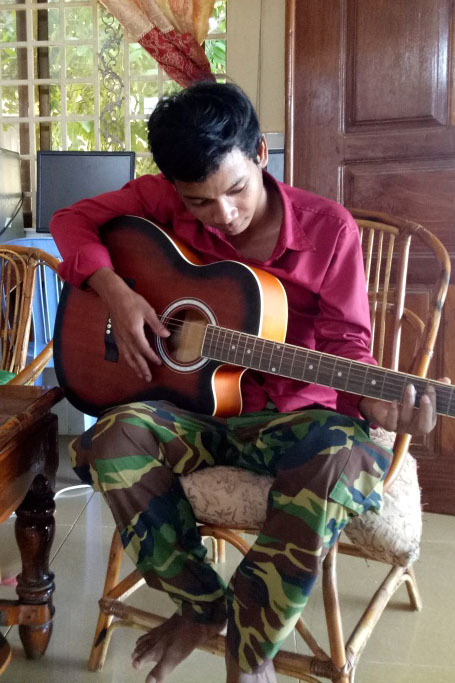 We are thrilled with the results of our high school students boarding at our city Education Centre in Siem Reap – some just completed year 10 and another group completed Year 11. All of them have done really well, three of them coming in the first four in their class. They are competing with city educated students many of whose parents fund expensive extra coaching classes for them. So we are very proud of our kids who are from unbelievably impoverished backgrounds, have worked so hard, and made the most of the opportunities we have been able to provide them. Our Year 9s have all passed the national exam to enter high school (years 10-12) which is a great result. 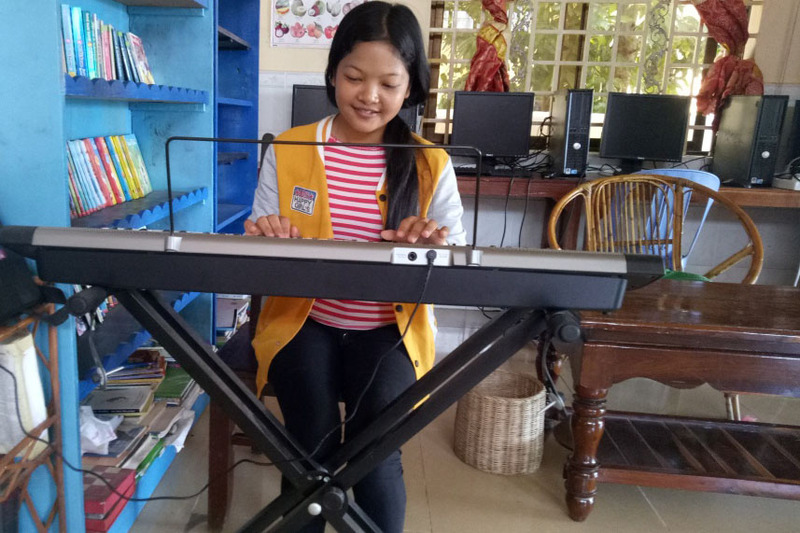 A generous friend has raised funds to buy some musical instruments for these older students and they are loving learning to play. It has been a very busy couple of months at our rural Centre. In July we had a visit from Dr. David Bailey and his medical team from Australia. 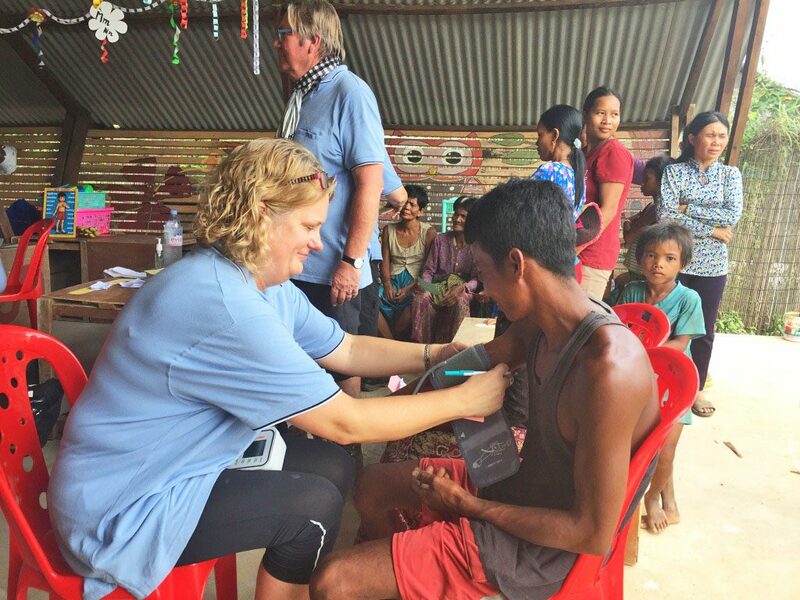 They set up two clinics – one in our Centre and one in our pre-school which is about 5kms away. They examined and treated some 700 members of our communities and of course our students. We are very grateful for the wonderful service they provide. We had a visit from Nowra Anglican College students also in July – they really enjoyed their time visiting all three of our Centres. 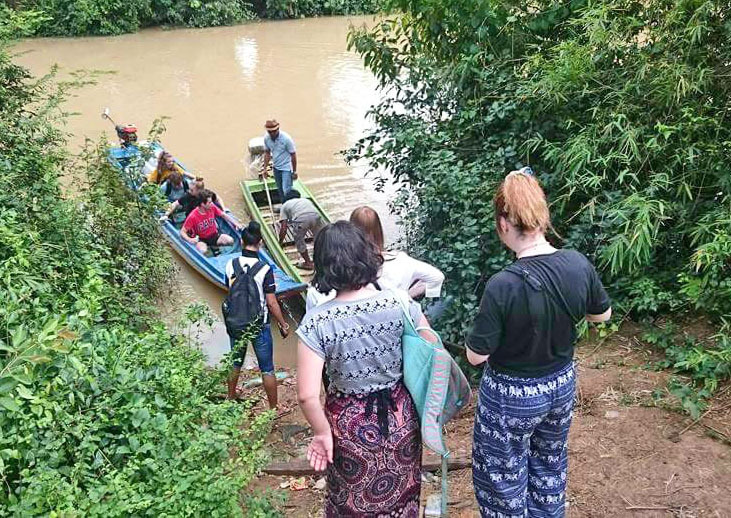 The road to our pre-school has now deteriorated so badly that we cannot get a vehicle through in the wet season, so the students had to hitch a ride in some boats owned by villagers. A bit of unexpected fun! We look forward to building a closer relationship with Nowra College. 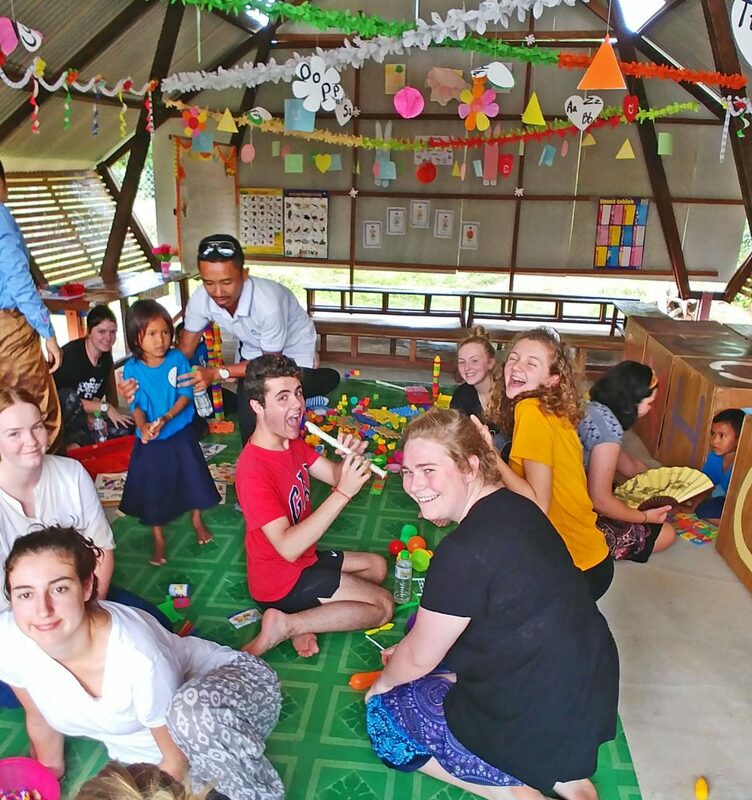 The students enjoy their time with our pre-schoolers. It has been the season for workshops! 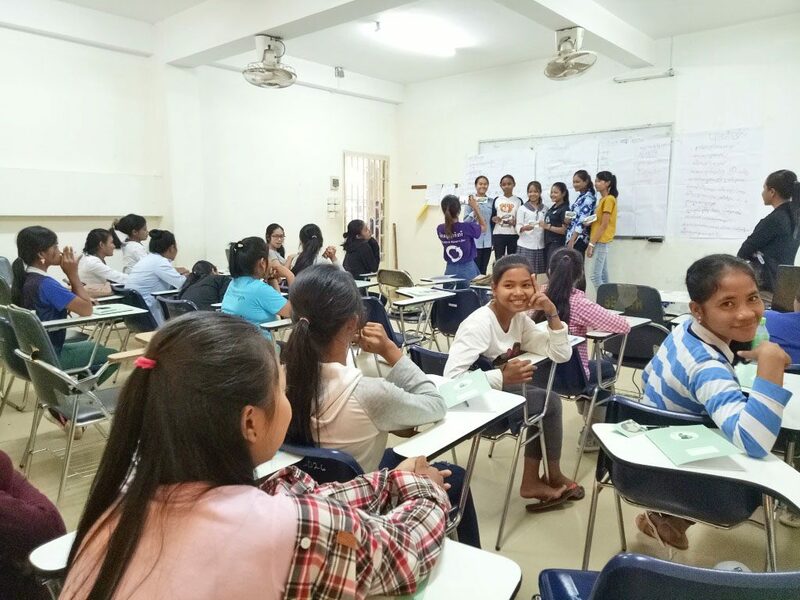 Our older girls attended a two day workshop on reproductive health run by the Women’s Resource Centre in Siem Reap. It’s a very good program which the girls really enjoyed. 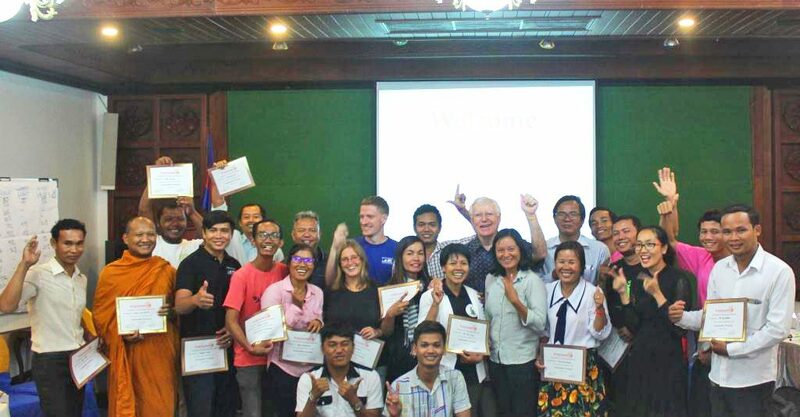 Our indefatigable GM, Chheng, found time to attend a workshop on Sustainability for NGO’s. His words – great value! Sustainability is certainly the buzzword in the NGO sector at the moment. 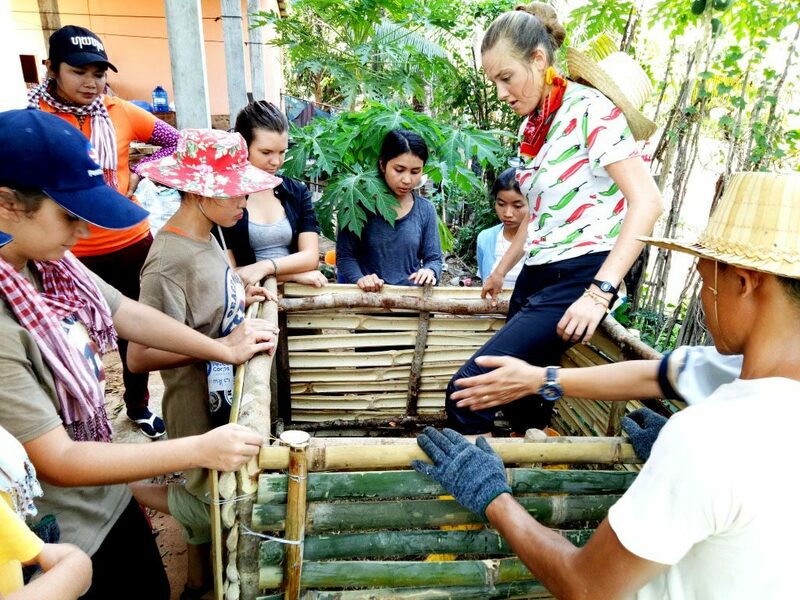 American Peacecorps International Volunteers provided a workshop on food security which several of our staff attended. We are planning vegetable gardens in the grounds of our pre-school, to give nourishing supplements to the food we provide for our pre-schoolers. 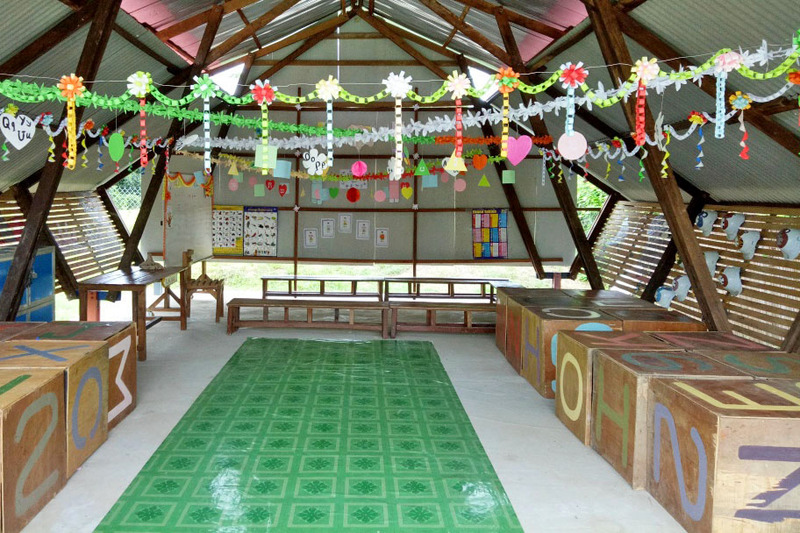 The little ones at our pre-school are aged 3 to 5. After their first year with us the older ones will go to kindergarten at the local school in October. They love decorating our simple class room but the effect doesn’t last long!! 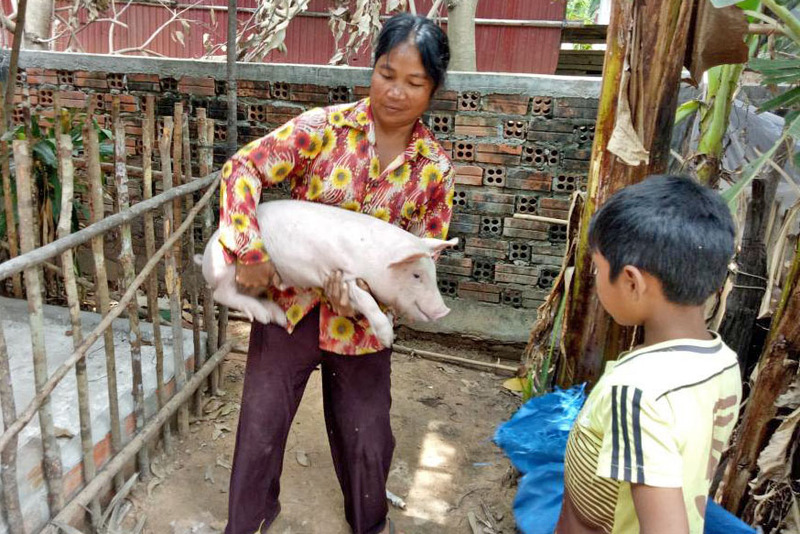 Our animal raising project is progressing well, although not helped by the government importing cheap pork from Vietnam and lowering the market price of our breeders’ pigs! Once again – a big thank you to all our generous donors.